GlobeIn is a mission driven company empowering hard-working people in remote regions to connect to the global market. Their main product is the GlobeIn Artisan Box monthly subscription featuring exclusive, handcrafted products from global artisans. 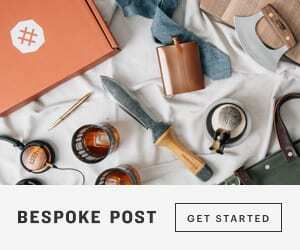 Each box is curated around a monthly theme by their editor to bring you exciting products that make you feel well-traveled and connected with distant cultures around the world. Box Details: The GlobeIn Artisan Box offers a themed collection of 4-5 hand-crafted items, including their signature palm leaf hand-woven basket from Oaxaca, Mexico. Each item comes along with a printed story about the artisan who made it. Their goal is to help you discover the world while empowering small producers in remote regions of the world. 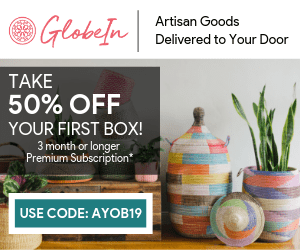 Subscribe to GlobeIn Artisan Box today!